Cobrakus is a cobra-like Bakugan. It is a BakuTremor Super Assault Bakugan. It opens up similar to Quake Dragonoid. It was released in July/August. 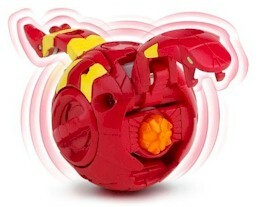 In ball form, Cobrakus opens similar to Pyro Dragonoid, but without wings. it has two feet on the bottom, and a pattern similar to Rattleoid. The Pyrus version has 800 Gs, Subterra has 800 Gs, Haos has 780 Gs, and Aquos has 770 Gs. Darkus has 790 Gs. Purchase your Cobrakus Bakugan from Amazon now!